Do you cringe when your kids bring home the class lists for Valentine’s Day? I always did! Don’t get me wrong. I love that we have a day set aside where we celebrate love and friendship. But I didn’t like those classroom valentines. Every year it was the same. Three school bags stuffed with random valentine cards, candy, and trinkets. The candy was okay. It could be eaten and enjoyed (It’s a hard job, but someone has to do it). But the rest of the stuff cluttered up my house for months at a time. My kids didn’t use any of it, but hung onto the stuff like Gollum with his precioussss. In the end I would find myself silently gathering valentine junk in the middle of the night and sneaking it out to garbage. Can we find a better way to celebrate? It was the waste that got to me. All those valuable resources held for a few moments and then tossed into the landfill. And a quick trip into any store shows me things haven’t changed. I still see aisles of Valentine’s Day stuff most of which can’t be recycled. I felt sure that with a little time I could find some classroom valentines that are waste free and earth friendly. So fired up with enthusiasm I went looking for ideas! I discovered that it was far harder than I thought. It has taken me many hours of searching. Still I figured it was worth it, so I persevered and here are the best ideas I could find. 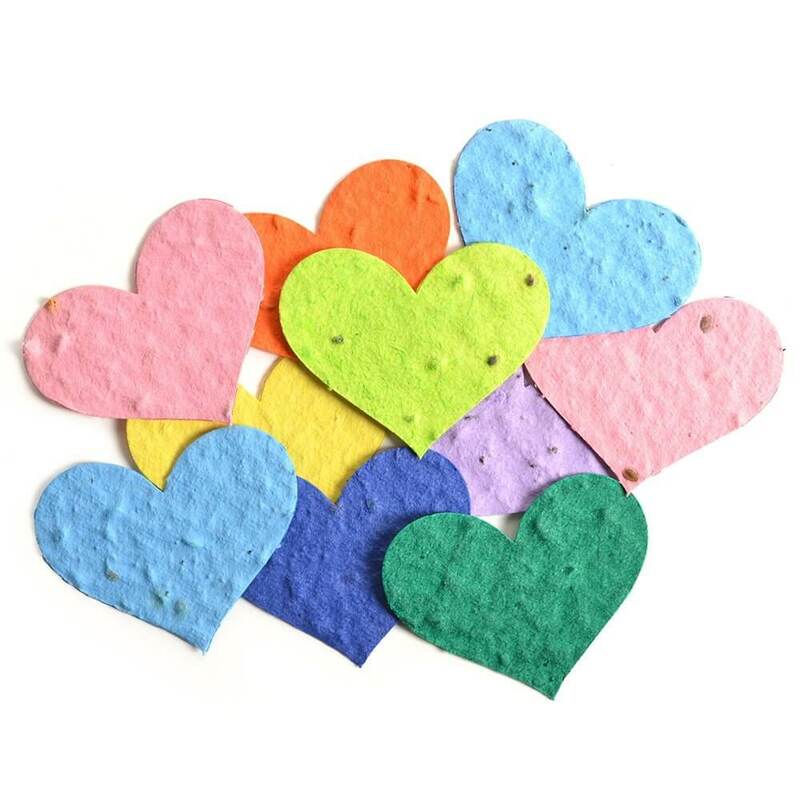 I love these little hearts made from biodegradable seed paper. The paper grows into flowers when planted! How cool is that? It would be a little weird to give a random heart with no instructions, so I’ve created a cute printable for you to use. 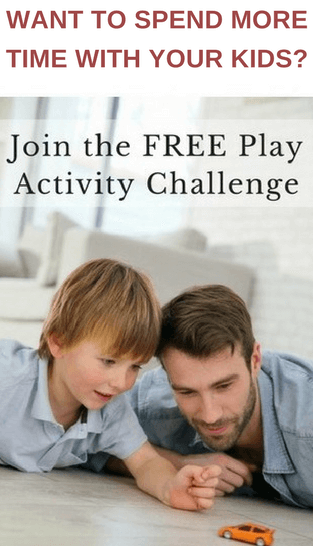 Grab your free printable from the library click here. Download and print the image. Any paper will work, but Forest Stewardship Council (FSC) certified card stock would be ideal. 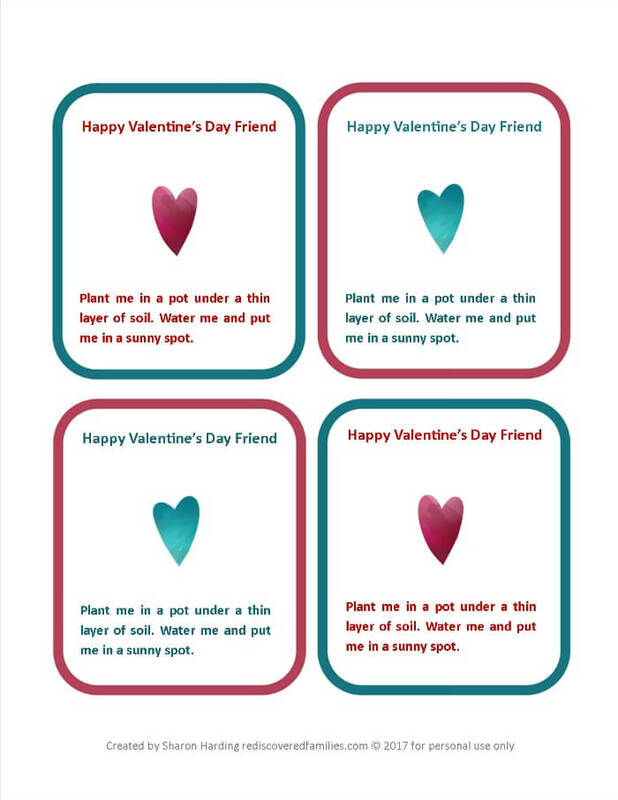 There are four valentines on each page, so print as many copies as you need to cover the class list. Glue the seed heart over the small burgundy heart. Optional: Have your child write a classmate’s name on the back of each valentine. If you prefer to make your own seed paper hearts you can find some instructions here. It really is the ultimate eco-friendly gift as it makes new paper from old. 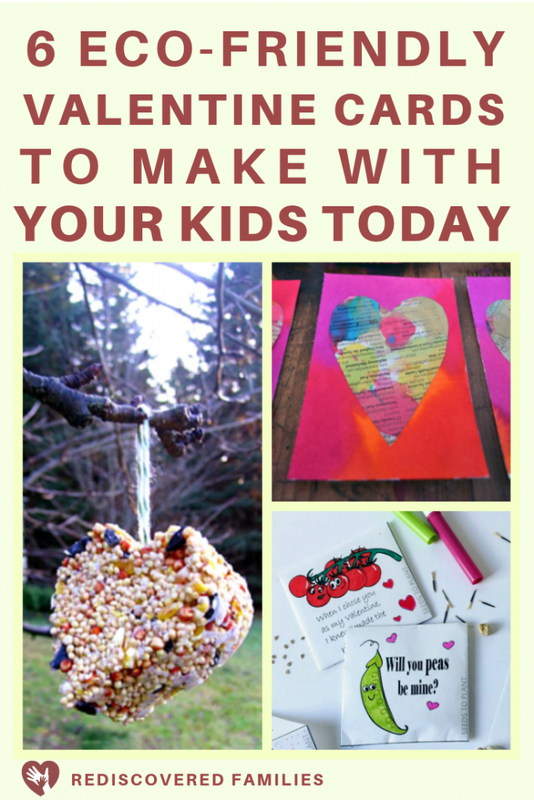 Kids who like cooking will enjoy making these bird seed hearts. Bonus: They are gifts for both friends AND birds! They are pretty simple to make and are peanut free. Hint: Use a biodegradable twine to hang the hearts. This can be composted once the birds have enjoyed their treat. If you need a silicon heart shaped mold you can find one here. You’ll probably have to supervise carefully with this one. After all we are talking liquid wax inside your oven! Still it’s a great way to recycle all those broken crayons that you’ve got lying around. Find the instructions here. Zero waste! 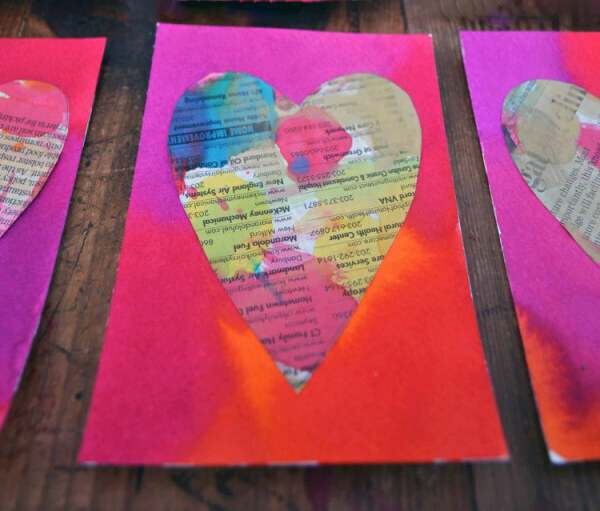 Newspaper and paint hearts are a great way to recycle some newspaper. Aren’t they pretty? I liked these cute classroom valentines from 30 Handmade Days. They are just right for school aged kids. Print, cut, and tape to a pencil. Hint: Use recycled paper and tree friendly pencils to make this a truly earth friendly Valentine. If you want to go one step further purchase pencils that can be planted when they have been worn down. (This totally fascinates me). Kids love planting, so why not give them some seeds? All you need are a few packets of seeds and some envelopes. I loved these wonderfully corny seed envelopes from Arts and Crackers. Kids will enjoy these punny envelopes. How about reusing paper that has only been used on one side? The used side will be inside the seed packet. 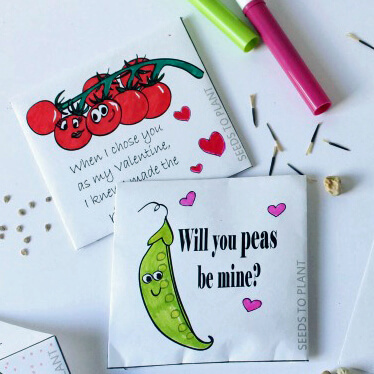 Bonus: None of these eco-friendly valentines use candy, so they will work even if your kid’s classroom has a no sugar rule. 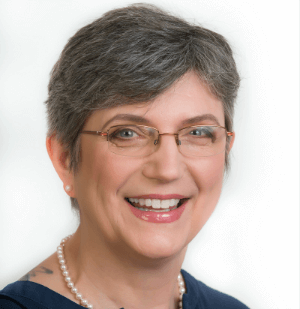 Will a few earth friendly valentines really make a difference? After all we are only talking about a few classroom valentines. I believe that every step towards a waste free life style is valuable. In the end we are doing it for our children right? We don’t want to leave them a planet that is damaged beyond repair. The good thing is that it isn’t really hard to make changes. 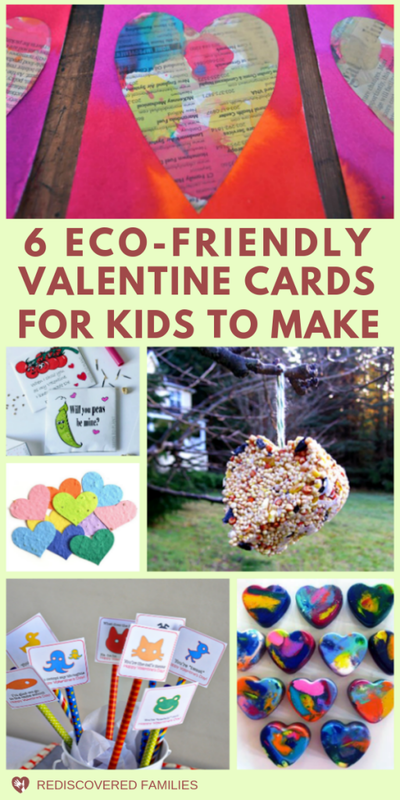 Focusing on small steps like eco friendly classroom valentines is a great way to start. Besides if you start sending out eco-friendly valentines maybe it will inspire other families to follow your example. Maybe you could start a trend. 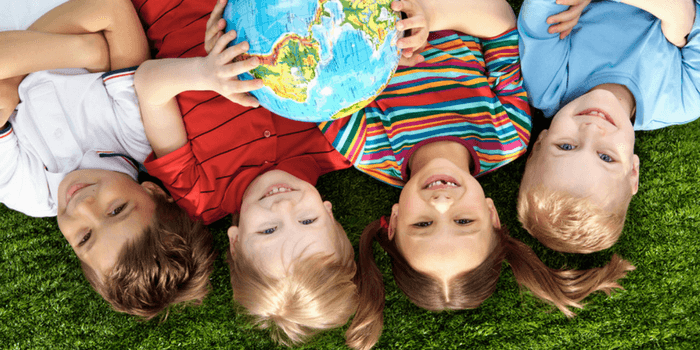 Imagine the impact if every child in the class did the same? No more midnight garbage runs! That’s a win right? What steps have you taken to celebrate a more earth friendly Valentine’s Day? Did you enjoy this post? Was it helpful? Please pin the image below and share the post to a friend!